Hello there. 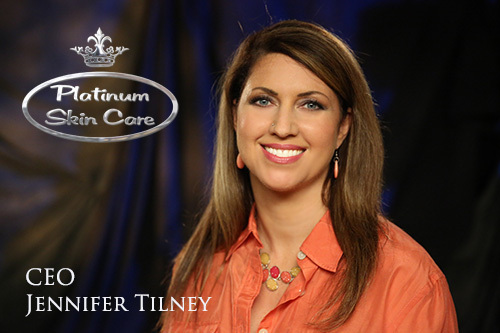 I am the CEO of Platinum Skin Care, and I would like to share with you my personal acne story. I would like to help you learn everything you need to know about your acne and how to control it. The burning question ..... Why ME? What causes all those clogs. How long will it take to be free of acne. The tools you need to clear your skin in your own home. So, can you spare a few minutes of your time to learn how to clear your acne? **P.S. Don't worry, it isn't too long. ***P.P.S. If you don't want to learn anything other than WHAT to use, just click here and I will show you. ... But really, knowledge is power, so I hope you continue reading. My 16 year struggle. I bet it's just like yours! I'm Jennifer, and I was struggling with acne for over 16 years. I had tried absolutely everything. Every soap, toner, scrub, mask and potion the store had to offer. I had even ordered peels and serums online that only aggravated my problem but more on that later. I went to a medical spa and had different colored lights shined on me, scrubs and enzymes smeared over my face and neck, you name it - all a bust. Pimples, clogs and more clogs just kept coming. I would think that "maybe", just maybe that last product was working a little bit because those pimples looked smaller today. A bit more dried and things just felt smoother. But before I could celebrate, 5 more pimples were waiting for me in the mirror the next morning. HOW? I mean it was improving just yesterday (this was before I knew that it actually takes about 5 weeks for an ingredient to start working). I am sure you know exactly how that works right? You are touching your face for the um-teenth time to feel for anything new and oh, a smooth spot, how beautiful. I can run my finger over it. So smooth. Well, after awhile you reach a point where you start to just accept that this is your fate, and give up inside. It's heartbreaking. When deep down you know that it's a losing battle. Me, you and about 50 million other people in the United States alone will deal with not only low self-esteem from this disease - yes it is a disease of the sebaceous glands - but many will fall into a depression and could even contemplate suicide. Every year. All the time. This is a big issue not to be dismissed as just a "teenage phase". Acne can hit you into your adulthood and even into your 60's and beyond. It can affect not only your social life, but your career and even your earning potential! I didn't get bad acne until after I had my first child when I was in my mid 20's. That's when literally, all Hell broke loose. Contrary to some people I had a perfect complexion during my pregnancy. It was after when my troubles progressed. I kept trying new products and researching online for ideas, but deep down I had realized that this was just going to be it for me. I had already tried everything! Tons of coverup - that was my solution. I would spend more time blending those red spots so that my face looked semi-even than I spent doing my hair - and I have very curly hair, so you KNOW I spent a long time in that mirror. But you know what? Even if you do spend all that time and even out the horrible color of those bumps - you can STILL see them all over your face. They are there and everyone else can see them too. Sure, in your low-light bedroom your face might look pretty good, but that is where it begins and ends. No matter what you do you cant hide a bump. And you certainly can not hide 20 or 30 bumps clustered all over your forehead, nose and chin. So, what did I do at this point? Try another doctor, another spa, another gimmick? Only go out at night when it was dark? ... No more, I said! I needed to get to the root of this problem. And guess what? I did! Oh, it took me years to find MY magic cure, but all throughout my personal struggles, I was already helping countless others with theirs. At 23 years old, my skin started breaking out badly and nothing could get it in control. All the cleansers I've tried either dried out my skin or made it worse. Platinum Skin Care's AB Cleanser is the best! My skin is glowing and it doesn't dry out my skin! It had taken me years to come up with the exact combination of ingredients to control my acne, even a little bit. I had cleared my face about 50% and was ready to celebrate! Hallelujah, it's a miracle - truly! Fifty percent is a lot. If I told you I could cut your acne in half you would be on board, wouldn't you? I sure would have. I would have paid a pretty penny for it too. I enjoyed my clearer skin, but knew I had to keep going. I had been running a company for years, and had been clearing my customer's skin, yet mine was still breaking out. I knew that there had to be people out there with stubborn acne like mine. I had to help them too. The more I learned about ingredient combinations and strategies, the clearer my skin got. I felt that I had the perfect system when my skin was actually only about 80% clear. I had originally accepted that I had lost the battle, but now my skin was practically clear. No more just "dealing with it" and "covering it up" for the rest of my life. My 30+ pimples were now down to maybe a few. That is nothing short of amazing! Hello there self esteem, it's nice to meet you again! Just recently I found the last piece of the puzzle I was looking for, and now I am 100% clear. I have created a complete system for myself, and my skin is as clear as it ever was before those horrible hormones took over and ravaged my face. I rarely have to worry about dealing with a stray clog, they just don't happen anymore now that I am using the correct ingredients to keep my skin healthy and clear. Coverup. Well let's just say I keep a stick in my makeup bag for a "just in case", but that stick has been untouched. It's more of a security blanket nowadays. It's there if I ever need it. I am not a genius, but I am a problem solver! And now I am ready to share my secret with you. If there was ever anyone I could sympathize with, and who deserves to know this information, it's you! I wish someone could have set me on the right path years ago, but in a way I'm thankful for my bad skin. It gave me the desire to start this company and come up with this great program to help myself, and you too. If I had perfect skin all along, I would probably have a different career. So, thank you genes, because I LOVE my job! Can my story help you? Let's classify your skin and see what we can do. Now, I want to be 100% honest with you. There are several different reasons why we get acne as individuals, stress, diet, applying commedogenic ingredients, teen hormones ... There are also some grades of acne that can be treated at home and some that require a doctor. You can find out what you are below and we will see exactly what we can do. In the grand scheme of things, we are all dealing with the same basic problems. Diseased sebaceous glands, excessive bacteria, extra sebum production and dead skin buildup. Let's put aside your worries right now though, because there is a way to control your acne. Give your skin what it needs to be healthy, and you will be staring back at a clear face in the mirror. Finally! Just like me! Black dots marching across your nose and chin? Just a small grouping of one or two. Not any inflammation. This is grade 1 mild acne. If you are just dealing with mild acne, consisting of black heads and milia, I can help you. Medium Grade 2 Acne: Blackheads, Papules and a few Pustules. Red bumps and clogged pores on any area of your face or jaw. Some will become filled with pus and come to a head. This is a traditional pimple. This is grade 2 acne. If you are dealing with inflamed pimples and clogs, I can help you too. 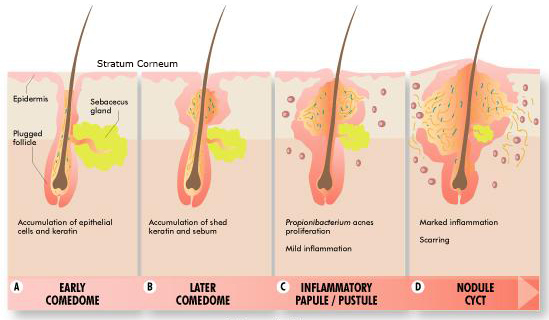 Severe Grade 3 & 4 Acne: Cystic, Blackheads, Papules, Pustules and Nodules. Large amounts of inflammation all over the skin. Hard, deep nodules in the deeper layers of skin. Intensely painful. Never come to a head. As long as you are not dealing with deep, inflamed nodules - called cystic acne - I can help you. *If you are in this group of cystic acne, my system can help your skin be healthier, but the most important thing you need to do right now is call a Dermatologist in your area and schedule an appointment. Do not wait another day! Cystic acne will cause severe scarring and will need to be treated with drugs such as Accutane. I can help you get your confidence back, just like I did. No more feelings of inadequacy. Acne can be dealt with! Let's grow your self esteem and improve your quality of life! No more hiding behind layers of coverup, or trying to go out only at night so you can hide behind the flashing red lights at a bar. You deserve to live in the spotlight, not hide in the dark. Clear skin is something I am passionate about. I have devoted the past 14 years of my life to creating the best products to help clear acne with my product line. I bet you have some questions now! I know I would, because if you're anything like me, you have tried it all and are skeptical. Well, let's get to it so you can start living your new life, shall we? Why do I have it and how can I get rid of it? Acne is genetic. You can't do anything about your genes. Somewhere down the line one of your relatives has passed it down to you. Thanks a lot Great, Great Aunt So and So! Or maybe you know exactly who gave it to you? Mom, Dad, Grandpa? It doesn't matter though, because we are only concerned with your future! Let's think about how deep those pimples are in your skin. Most people have about 17-22 layers of skin in the Stratum Corneum (that outermost layer that protects us from the elements). Under all those layers we finally get down into the epidermis! That's where the clogs begin. Acne appears when a pore gets clogged with dead skin. A normal pore will shed and the dead skin will just flush right out. Simple and perfect. Our pores, my fellow acne sufferer, are flawed. They have a disease called "retention hyperkeratosis" and do not perform their job properly. Deep inside the pores our dead cells shed at an abnormally rapid rate, literally 4-5X faster than normal. The build-up of dead cells then stick together and form a mass in the follicle. This then accumulates at a very rapid rate and forms the keratinous clog that will become a pimple. Add some P-acnes bacteria - which is attracted to our oil - and now you have an infected pustule that is sore and inflammed. Have weaker folicular walls that are prone to rupturing. Have excessive amounts of oil and P-acne bateria on the skin. How long will it take for my skin to clear? From the description above you can probably tell that acne doesn't just pop up overnight. Each pore can take weeks to create the perfect pimple. You actually have several layers of acne all over your face all the time. You might only have 3 in your top layer, but you have 5 in the next layer and another 3 in the next. Go down a few layers and you see how things work and why we constantly have new things erupting. We have to STOP the process and that is going to take a few weeks. The exact amount of weeks is different for everyone, but for sure changes can start to really show on your face by week 4. If you have more aggressive acne you can be looking more towards 6-8 weeks to see the clear skin you desire most. So, we really have to start right away. Every day you wait makes the process take longer. *Do you need your skin clear for a special event? Get started right away. Give yourself 2 months to get everything under control. Yes, what about those peels I mentioned. I stated that they just aggravated me and did not help at all. Well we all live and learn don't we? I sure did. Peels are WONDERFUL! When treating my acne I found that when I started performing a peel 1x every 1-2 weeks it really sped up the acne clearing -- and purging process. That was the bummer. All those layers of skin (looking down 20+ layers now) are filled with clogs you can't even see yet. So, when you perform a peel such as a Salicylic or mild TCA you are going to remove a few layers of skin. As you remove those layers of skin, the blemishes that weren't supposed to come up for a few weeks, are now right there! All over your face. This purging can happen for about 4-6 weeks. The best thing to do at this point is use the proper ingredients to kill the bacteria, shed the follicles and heal the skin. BONUS: now that you don't have such a buildup of stratum corneum, you can get your acne medicines closer to the actual issues and dry them up more quickly! Once this cycle is over you will be staring back at beautiful skin. *If you are just a grade 1, this process will happen more quickly. What "magic ingredients" did you use, Jennifer? You held on this long, so let me get to the good part. How did I control my acne and heal my skin? Well, I am glad you asked. I have my favorites that I use every day, and those we will call your Maintenance Tools. What you need to use right now, I will call your Clearing Tools. First things first, let's clear out those clogs as fast as we possibly can. To begin clearing Grade 2+ acne we need to start off with a peel. *If you have very minimal Grade 1 acne, you may skip the peel if you prefer, but realize that this step will get things moving more quickly. You will perform this peel 1x per week or 1x every other week for 6-8 weeks. *This is called a Peel Series by dermatologists. There are various peels available, so let's break them down and see which will work best with your lifestyle. I personally like to alternate acids, but you can do that later after everything is looking good. Heavier - Are you not worried about "down time"? Can you go to work with flakey skin? Are you in a SUPER HURRY to get this show on the road? Then let's start off with our TCA 13% peel. TCA is a more aggressive acid, and you will get the most flaking with this peel. The great thing about TCA is that it can be applied in multiple layers so that you can take more skin off at a time. I want you to start off with only ONE layer the first time you peel. After that you can decide if you want to try two next time. Five is basically the limit on layers, but most people really don't go past 3 all that often. **To get a super peel, add-on our Luminosity method (Retinol .50%) as a last layer for more peeling and tissue regeneration. Heavy-Medium - We are still going to have some "down time" with this. Can you go to work with flakey skin? If you are OK with medium flaking, some discoloration from dead skin? Then let's start off with our Jessners peel. Jessners is most comonly used on those with cystic acne and aggressive lower grades. This is also applied in layers (like the TCA) and is left ON the skin for about 4 hours before rinsing. You can also add the Luminosity layer with this peel. Light but amazing - You only want a small amount of peeling but really need to get this acne under control. Not a problem. Let's start you off with our Mandelic & Azelaic Peel 22. The combination of these acids will help control bacteria and clear pores with a more minimal flake. You will be able to apply this peel every week. Once you have acclimated to the 22, feel free to move up to our Mandelic 40+. More peeling, yet still controllable. Treat and heal your skin! Contrary to popular belief, our skin isn't any more "dirty" than someone without acne, so don't feel like you need to wash more than 2x per day. Morning & evening, a resounding YES is my answer though. And don't forget it. Now, if you have been to the gym or actually did something to make your skin grimy, then go ahead and wash another time. Other than that it just isn't necessary. So, let's choose a Cleanser. 1. Cleanser: morning & evening. My very favorite Cleanser is our AB Cleanser. I created it especially for MY skin. It has a combination of glycolic, salicylic and lactic acids to help gently remove dead skin and cleanse the pores. It also has anti-bacterial and anti-oil properties. Later: a great choice for those of you who love Scrubbing beads is our 3-in-1 Cleanser. *I feel that this is too aggressive for everyday use on skin with pustules, as they could rupture and then bacteria could spread on your skin. Only use this cleanser after your bumps have cleared significantly. 2. Toner: morning & evening. The Toner I can't live without is our Purify Advanced Toner. When I was talking about my skin being mostly cleared, this was the magic product that got me from 50% clear to about 85% clear! Fortified with mandelic, citric, phytic, vitamin C and lactic, the antiseptic and bacterial properties in this toner will help to clear your skin quickly. 3. Vitamin A Serum: evening. Vitamin A comes in many forms, even prescription. It is absolutely mandatory for treating acne prone skin types. Vitamin A actually puts your skin into a "super regeneration mode". This means when you do get a blemish, instead of your skin taking weeks upon weeks to heal, it will wrap everything up in about a week. No more lingering marks! 4. Vitamin B Complex: morning. This is THE product that took my skin from mostly clear to totally clear! The first Vitamin B in this product, also known as Panthenol (or B5), has been verified in multiple studies to show a 50% reduction in acne after 8 weeks daily usage, and it can help to decrease pore size! The next B in this complex, also known as Niacinamide (or B3), can help by improving our skin's protective barrier, and controlling inflammatory issues seen in acne skin. Acne skin needs hydration too, so with the addition of Pentivitin(tm), squalane and hyaluronic acid, our skin is moisturized without clogging pores. ***We have created a Special Kit that contains all 4 of the Basic Maintenance Tools. It is our Moderate Acne Maintenance Kit and you can get it right here. So there you have it. That is what I use every day to keep my skin clear. When starting on your journey to get clear skin, you need all of those products, for sure! But those aren't the only things. There are always products/ingredients that can enhance what you are doing every day. I have a few other products I like to use as well whenever I feel the need. I will list them below, along with why I have chosen them. I actually do use this about every single day. It is not for controlling acne, but rather for mattifying oily T-Zones all day long! I usually put this on top of my SPF, immediately prior to my makeup *which is Glominerals, by the way. This keeps my shine away just about all day long. Have any fine lines you want to tighten? This works for that too! CLEAR, curoxyl(tm) benzoyl peroxide: evening before Vitamin A.
I do not like to use benzoyl every single day. The reason is that your skin gets used to it very quickly and it will stop working. BP is a great ingredient for acne though. It is basically "liquid oxygen". P-acnes bacteria (that is the bacteria that eats our sebum and multiplies to cause infections) can not survive where there is oxygen. All safe and snug deep in our pores it can thrive. The oxygen that touches our skin can not reach it. Now, add in BP. Benzoyl pushes the peroxide deep into the pores where it can - and does KILL the bacteria. Our special curoxyl BP has a much smaller molucule than standard BP, so it can clean our pores right out! Let's use this only 1-3x per week though. 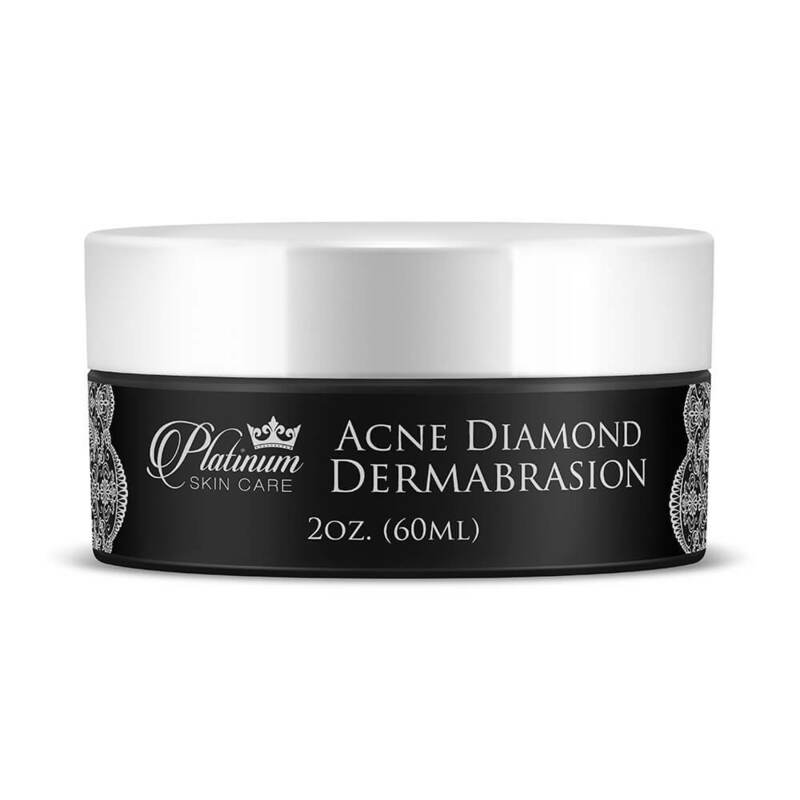 Acne Diamond Dermabrasion Cream: anytime. This is one of my favorites. A huge, 30% quartz multi-sized scrubbing crystals and salicylic acid to smooth and clear. I like to use this about 1-2x per week for instant smoothing and to clear the chin and nose pores out. This is also one I reach for when I am going out for the evening. I love how soft and smooth my skin is after a good scrub. *Gently rub onto wet skin in circular motions for about a minute or so, or even use with a clarisonic face brush. The Blemish Authority Mask: anytime. This is a great product to use when you need to dry up any blemishes. Great in case something pops up after a stressful event or a breakout. Heal and dry quickly with this 15 minute mask. This can be used 1-4x per week without causing excessive dryness. 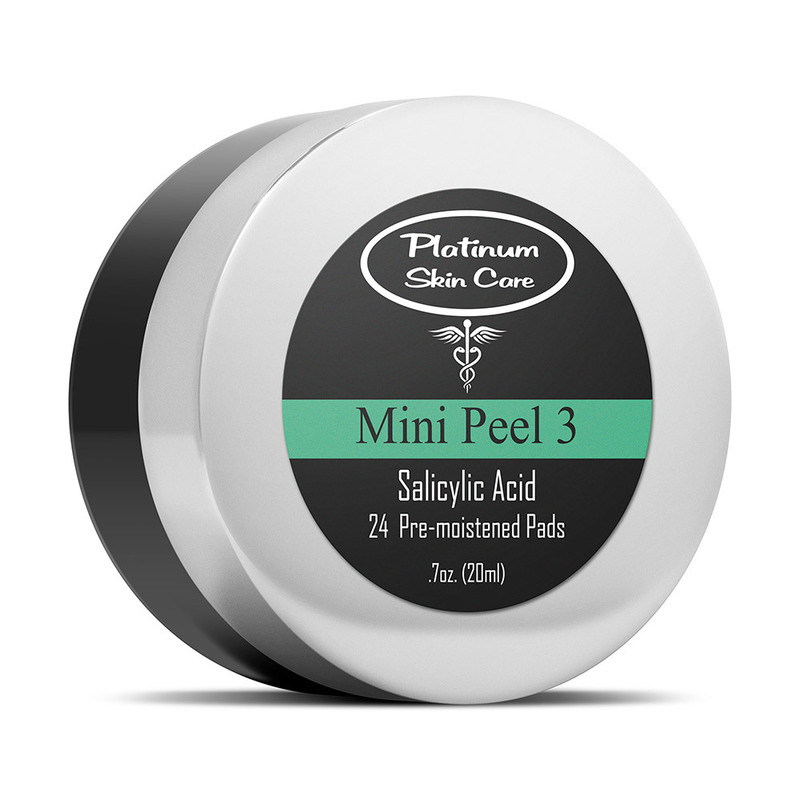 Great as a peel for teens (or our Mandelic & Azelaic Peel 22) that isn't too harsh or irritating. Apply after washing & drying the skin and then rinse after 5 minutes. This can be used on pre-teens 1x per week as well. *We do have some really active acne users that like to use this as a toner. Caution, it can be excessively drying when used daily. It is higher than the daily % of recommended salicylic. 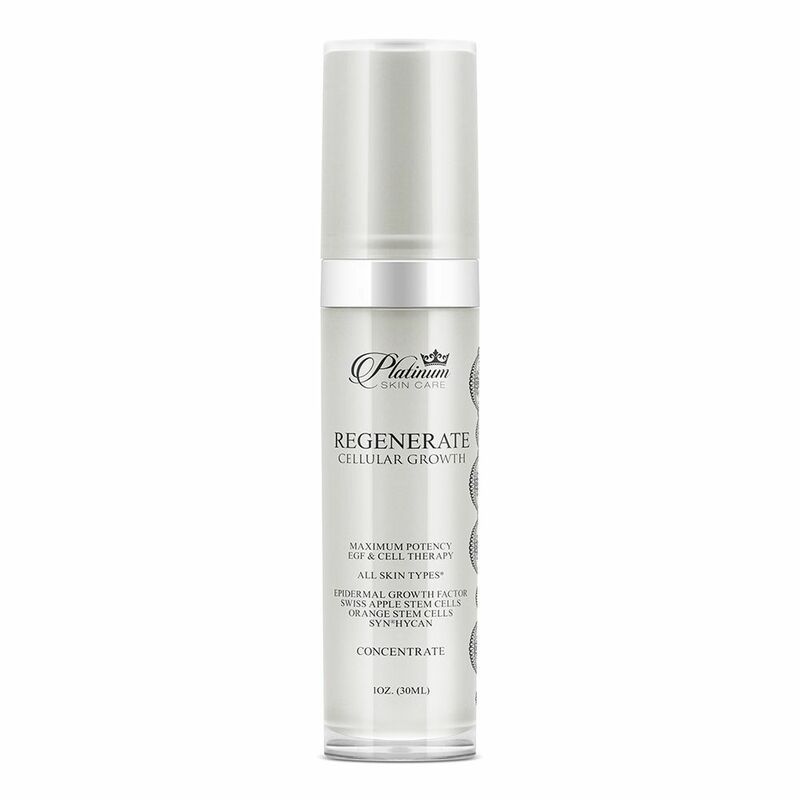 Regenerate Epidermal Growth Factor: anytime. This is another product I use every day. The reason is that I use several exfoliating ingredients every day. Acids, Retinols, etc... When you are exfoliating all the time EGF is a perfect tool to use to stimulate more rapid regeneration of your epidermis (healing). This is also excellent for treating wrinkles. I think that just about does it. It looks like now it is up to you. I know you can do it. And do you know why? Because I have told you everything there basically is to know about Acne. I have given you the steps it will take to get it under control. Any downtime, possible purging, how many weeks, what products to use. It is all there. Now it is up to you! There are only 2 steps to follow. Select all of the Maintenance Tools. We have created a discounted KIT for you right here that contains ALL the Maintenance you will need to simplify this process for you. If you have any questions we are here to help you. We take pride in setting you on the right path with the right products. If it is Monday through Friday, any time between 9am-5pm EST, just pick up your phone and dial 1-800-917-3155. Or, see that CHAT box on the bottom of the screen? Click on that and ask us any questions that you still need answers to. We are here for you!